Size 10 Hearing Aids - 24 Batteries in Pack is rated 4.2 out of 5 by 158. 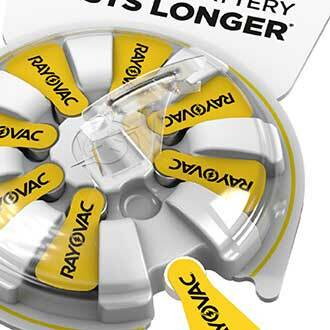 Rayovac's most advanced hearing aid battery yet*. 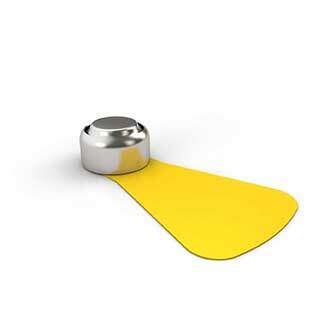 No hearing aid battery lasts longer1—plain and simple, or your money back2! Our cells are engineered with an advanced formula3 that performs in the most power-hungry hearing devices. This long-lasting formula provides consistent, high-quality performance throughout the life of the battery. Our innovative package features longer battery tabs4, a secure dial and an easy access reclosable door. Our improved cell design and formulation deliver more power to ensure no hearing aid battery lasts longer1. Our battery lasts up to two days longer than our previous formulation5. 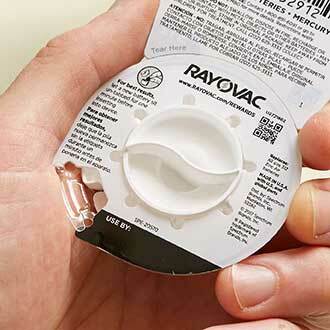 Rayovac has been manufacturing hearing aid batteries in Portage, WI for over 50 years6. Through continuous investments and improvements, Rayovac is able to deliver new, innovative battery technology that features peak performance in today's devices. The controlled turn system prevents the battery dial from spinning freely, giving you total control over the movement of every battery. An easy-to-open, forward-facing door gives you full visibility of each battery without ever having to flip the package over. 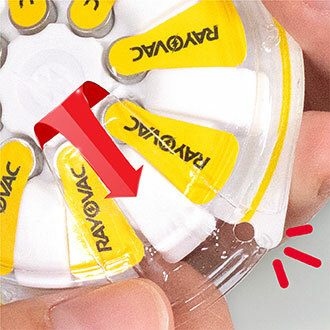 We engineered a new battery tab that is longer, wider and easier to handle than our previous Rayovac battery tabs. The door will snap when properly closed. This long lasting formula provides consistent, high-quality performance throughout the life of the battery. Improvements in our cell design made room for more formula to power the battery3. Designed to keep up with advancements in hearing aid devices and ideal for high-drain uses like wireless streaming. 1 Based on ANSI/IEC Performance Tests for size 10. 2 Money Back Guarantee: Contact 1-800-891-6091 www.rayovac.com for more details. Restrictions apply. 6 Proudly made in Portage, WI, with US and global parts.